First Day of My Life: Makeup of Choice? 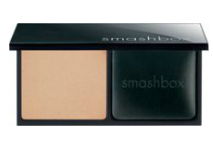 A few weeks ago, I grabbed some Smashbox Pressed Powder. Fell in love with it. Unfortunately, the price isn't that great since the pressed powder isn't lasting me as long as I would like. I know you have to pay for good quality products, but when the product is $32, or so after tax, and lasts maybe a month and half - I want to see what else is out there. I used MAC's Studio Fix for yearsssss but switched to the Sephora brand about a year ago and it works just as good for about $10 less. I use a covergirl pressed powder. I've pretty much used it off and on since I started wearing makeup. It is cheap and does the trick! I use Revlon PhotoReady translucent finisher.